Oliver Popplewell was born on 15 August 1927. He was a classical scholar at Charterhouse and in 1945 a classical exhibitioner at Queens’ College Cambridge where he was awarded an LLB and MA. 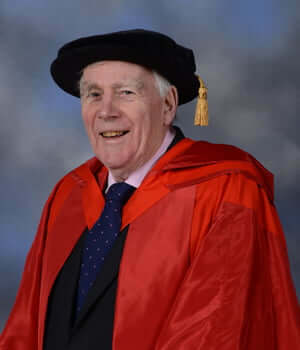 He played cricket for the University and from 1946-1948 he served in the Royal Navy. Sir Oliver was called to the Bar by the Inner Temple in 1951, became a QC in 1969 and a High Court judge in 1983. He conducted the inquiry into the Bradford fire disaster in 1954. He was married for the first time to Margaret who died in 2001 and by whom he had five sons. In 2008 he married Elizabeth Gloster, now a judge in the Court of Appeal. 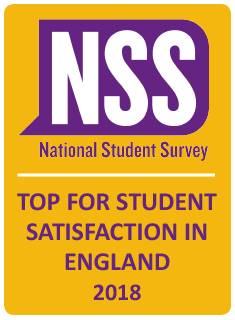 In 2003 Sir Oliver went to Harris Manchester College, Oxford as a mature student and read Philosophy, Politics and Economics. 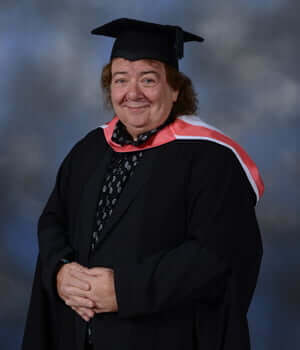 He is now an honorary fellow at Harris Manchester. He then went on to take an MA in International Relations at The London School of Economics. Sir Oliver is the author of two autobiographies Benchmark and Hallmark and also of The Prime Minister and his Mistress, the story of the affair between 62 year old Asquith and 22 year old Venetia Stanley. 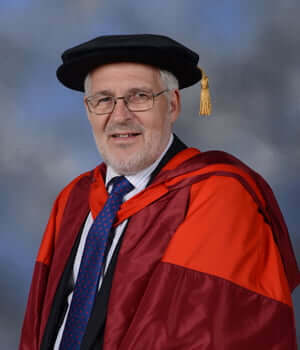 After achieving a Bachelor’s Degree in Economics from the University of Sussex, Daniel Jones carried out the pioneering research that uncovered Toyota’s superior Lean management system. Network), to teach organisations around the world how to use Lean to improve their performance. The Lean Enterprise Academy seeks to encourage and empower people through coaching and problem solving, provide new means of organisational transformation to the modern employee, helping them to make a difference in their occupation and allowing organisations to become innovative and sustainable. Daniel Jones has helped to spread Lean to pioneering organisations in manufacturing, retailing and distribution, services, construction, healthcare and the public sector, making Lean the most successful business improvement methodology of our time. outlining his views on establishing a truly efficient hospital service. Barbara Cannon holds a BSc in Biochemistry from London University and a PhD in Physiology from Stockholm University as well as more than 30 honorary positions within the international scientific community including Deputy Secretary General of the Science and Technology Board of the Swedish Research Council and Chairman of the Trustees of the Nobel Foundation from 2009 – 2012. Between 1985 and 2010 Professor Cannon was Director of the Wenner-Gren Institute at Stockholm University, where she still works today as a professor of physiology. 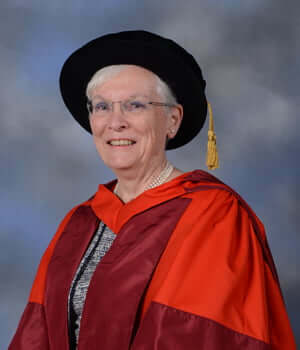 Professor Barbara Cannon is an internationally leading figure in the physiology of brown adipose tissue – an organ involved in the maintenance of body temperature and the control of body weight. She was for many years Professor of Physiology at the University of Stockholm and was elected as a member of the Royal Swedish Academy of Sciences at an early age. She is currently the President of the Academy and is the first foreigner and only the second woman to be appointed to this prestigious role. Last year she received His Majesty The King’s Medal from the King of Sweden for her outstanding contribution to the field of physiology. Bernard John Marsden was born in Buckingham in May 1951. His late mother Kathy was born in the town and his father Joe was in army service at the Tingewick Camp in the 1940s. Bernie was schooled in Buckingham and played football for Buckingham Town. His musical dreams started with The Beatles in the early 1960s, when he was given his first guitar – a very cheap acoustic one – at the age of 14, followed by an electric guitar. He played with local bands, The Jokers and then The Originals, and was later headhunted by the Daystroms in 1967 when flower power was at its height in 1967. Bernie’s first “real” jobs were all local in the town, the BBC (Buckingham Borough Council), a local dairy located in what is now the University’s Chandos Road building, and also with builders merchants. Bernie first formed local legends Skinny Cat and began to have a personal following. He turned professional in 1972 with UFO and then moved to London. Bernie’s first TV appearance was on Top of the Pops in 1974, where he worked with Mickie Most as a session guitarist, notably with Hot Chocolate. After this, he spent some time touring across Europe. Bernie was the founder member of Whitesnake, which was formed in 1978. Whitesnake became a major act all over the world and their single “Here I Go Again” was Number 1 in the USA in 1987, displacing Whitney Houston’s “I wanna dance with somebody”. Bernie married Frances (Fran) Plummer at Hillesden and Stowe in 1980, and they have two daughters, Charlotte who works for the BBC (British Broadcasting Corporation), and Olivia who is studying for her own degree at the University of Buckingham!